The training will focus on practical skills, critical thinking, and alternative approaches needed to deliver high quality SIAs and ensure its relevance beyond the project authorization and construction phase. The course will be based on real experiences, IAIA’s “International Principles for SIA,” and evolving best practice, and will be facilitated by industry experts. Teaching methods will be highly interactive. There will be particular emphasis upon: Strengthening understanding of the SIA process; Opportunities for enhancing SIA through effective stakeholder engagement; Key analytical and practical skills required for a meaningful SIA; Understanding and managing the limitations of SIA; Emerging trends shaping the requirements of the SIA process with a particular emphasis on climate change implications; Maximising the opportunities of SIA, in particular using the process to improve the quality of decisions made, and as a basis for relationship building; and The role of SIAs as a foundation for the development of broader social and integrated management systems, suitable for application during subsequent project phases. Prerequisites :The training is targeted at individuals who have some experience in SIA and are wanting to improve the effectiveness of their current SIA practice. Presenter :Alison McCallum: As a social scientist, the focus of Alison’s work experience over the past 20 years has been in the general field of ‘social performance’, predominantly in the extractives industry, but also in forestry and infrastructure projects. During this time Alison has focussed on working with corporate clients to improve their social performance at both the corporate and operational level. This has entailed a shift from legislative driven processes (such as social impact assessments), to work that is aimed at improving the ability and capacity of clients to deliver on their social performance mandates. Currently, a significant focus of this capacity building is as a key content developer and facilitator/trainer for the Certificate Programme in Community Relations Practice, a four-module course deigned to build the capacity of community relations personnel in the extractive industry. This is done as part of a partnership with Synergy, the University of the Witwatersrand, and the Centre for Sustainability in Mining and Industry. Alison also has extensive experience in the provision of in-house training programmes for community practitioners within South Africa’s mining operations. Other key work experience includes: the development of guidelines and methodologies for improved social performance within the mining and forestry sectors; on-site work with community relations staff to ensure implementation of corporate policies; conflict mediation; development and assessment of corporate social investment strategies and programmes; resettlement planning; social performance assurance at operation’s level; due diligence and IFC compliance assurance; social risk assessment processes; social impact assessments; development of stakeholder engagement strategies; and the design and facilitation of custom-made social performance training workshops. These areas of experience range from early in the project lifecycle (exploration phase in the context of mining), through to construction, operation, and moving towards closure. The nature of this work has given Alison on-the-ground experience in understanding and transforming management objectives and company policies into workable solutions that address social performance challenges. 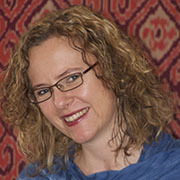 Alison is an accredited mediator with the African Centre for Dispute Settlement and CEDR, and has coaching accreditation with the Centre for Coaching at the University of Cape Town’s Graduate School of Business. Katharine Gotto Walton: Katharine has 20 years’ international experience focussed on helping organisations understand and manage their interactions with society and the environment. Her key competency is in managing the socio-economic impacts and issues surrounding large-scale development projects, in particular oil and gas joint venture projects working across corporate, government, non-government and academic sectors. As a Director at Synergy for the past 14 years, Katharine has played a critical role in the success of numerous sensitive projects alongside building a global consulting company and team of expert social performance specialists. Katharine is a strong project manager with extensive experience on the ground including work with Shell, BG Group, BP, Tullow Oil, Putu Iron Ore and AGIP KCO and more than four years in Latin America for Shell. Her key skills include social audit, social, human rights and integrated impact assessments; project planning, implementation and assessment; stakeholder engagement and communication; social investment; wider social issue management; strategy and policy development; training; and, team building and management. Katharine co-designed and is currently facilitating internal SIA training for a multinational oil and gas company. Katharine is an ISO14001 lead auditor and has led and participated in numerous external and internal audits including for the IFC Office of the Compliance Advisor Ombudsman. Katharine previously worked for an NGO-corporate partnership (BP, BirdLife International, Fauna and Flora International) leading a global grant and training biodiversity conservation programme.